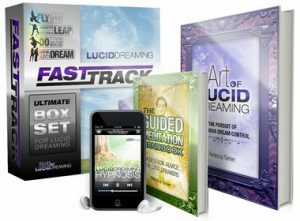 →Lucid Dreaming Fast Track Review- Does It Work? Lucid Dreaming Fast Track Review- Does It Work? There are many ways to induce a lucid dream fast but, it becomes difficult to get one when you are too anxious and it happened to me also. 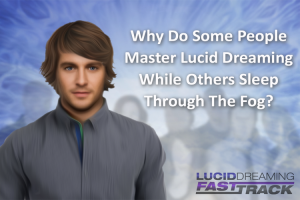 That frustration of not getting a lucid dream is still in my memory because for some people it’s an easy task, we are so fortunate that now there are a lot of tools available in the online world for guiding us to become expert lucid dreamers. One of the most famous lucid dreaming courses is Rebecca Tuner’s home study program named Lucid Dreaming Fast Track, let us take a closer look at this program. Rebecca Turner is an experienced lucid dreamer who has taught this skill to a lot of people with her popular world of lucid dreaming website and her course materials. The author claims to have learned this skill in her early teenage and she has composed her program with techniques and methods that are well capable to train beginners as well as regular lucid dreamers to upgrade to the advanced levels. Can I Learn to Lucid Dream in Just 60 Days? Of course, yes. This is what the course promises but the way they show it all in their website is a bit too much. There is no doubt that this course will make it possible for you to have your first few lucid dreams within 60 day but they have highlighted some points like “learning new skills”, “summoning and talking to people”, “creating your own dream world” etc, these all requires consistent efforts for long time. But, if you have already had lucid dreams then you will learn all these techniques very quickly with this program. Rebecca Turner’s home study lucid dreaming program is an online digital course so; you will get instant access to the course material when you enroll. You will get access to 30 tutorials which are strategically designed in order to give you a step by step knowledge that is essential for your lucid dreaming journey. The course material incorporates audio meditation tools that are intended for inducing lucid dreams. The guided meditation that you will receive is very effective for communicating to your subconscious mind about your intention to become aware in your dreams. They also give you a 24-hour support through the forum where you can discuss dreams and ask your queries. This is a perfect place to receive the suggestion that is specifically appropriate for your requirement. Overall I consider that this product can really help you if you are either struggling to have your first lucid dream or to explore your dream world more. The possibilities are infinite when you become a regular lucid dreamer but, just buying any book or product won’t make you an expert conscious dreamer you will have to make use of the material properly and put serious efforts. For more information, you can visit product website here.